Yes, I'm a little late for the holiday-appropriate entry. But I had to sort of chew on the thought all day. I actually spent last night and this morning composing two entries for later this month. Then late this afternoon, it came to me how much my story resembles the movie, Groundhog Day. The premise of the movie, as you likely know, is of a man who wakes up morning after morning to find himself repeating the same day over and over. Any mother will agree that raising small children leaves you feeling like you are stuck in a rut, repeating the same day over and over and over. The bad news is that you feel about to go crazy from the repetition. But the good news, as the man in the movie finds, is that when you repeat the same scenarios over and over, you begin to experiment with solutions. And sometimes you begin to find small successes that move you in the right direction. I realized that being stuck in my own personal Groundhog Day is really a gift. Each day is a brand new chance to treat my children the way I know I should. Each day is the opportunity to start fresh, do all the necessary tasks in the right order, succeed at the challenges that seem to come like the tide. It's time to welcome the moment I am in. 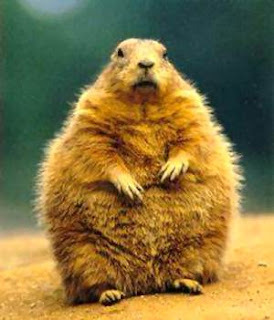 Happy Groundhog Day. Tomorrow is another day.